Thanks for having me on this interview today 🙂 I have been selling online for almost 10 years now. It just wasn’t always on Amazon. I got my foot in the door by selling on eBay back in 2008 while I was working full-time. I mainly just used it for “play” money. I got laid off from my full-time job in 2009 and decided to take that eBay hobby and turn it into a full-time gig. Since this is an interview about Amazon, I’ll get there quickly. I was making good money on eBay, but there was one problem. It took A LOT of time! Everything I sold, I just had one of. So I would create a listing for each item and then package each item up as it sold. The more I wanted to make, the more time I had to spend in the business. At the end of 2010 I started hearing about Fulfillment by Amazon and decided to give it a try. Let me tell you, having Amazon do the fulfilling for me was a game changer! It meant I could sell more items without adding a bunch of hours in the business shipping and packing. 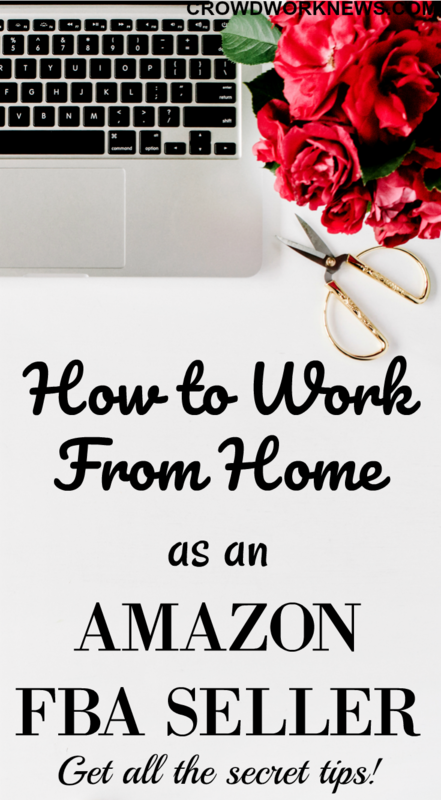 In 2012 I was making more than my husband was at his full-time job, so he actually left his job and we made selling on Amazon our families full-time income. Can you explain in detail what exactly is Amazon FBA business? The FBA in Amazon FBA means “Fulfillment By Amazon”. This is a program where individual sellers (like you and I) can utilize Amazon’s warehouse and shipping methods to sell products to their customers. Basically, as an Amazon seller I find my own products to sell (we shop at local retail stores looking for discounted products) and then we send those items in to Amazon fulfillment centers across the United States. Once those items sell, they are sent to the customer by Amazon. They do all of the storing of those products, so we don’t have a garage full of inventory. They also do customer support, so we don’t personally deal with returns or shipping issues! They took everything I hated about my eBay business and left me with the fun part…Finding good products. How much does one have to invest if they want to start this business? People can start with as little or as much as they want to. I recommend that people have about $1,000 to give themselves a really good start. Since this is an inventory based business, people have to purchase that inventory before it sells and then wait for Amazon to pay them out before they can buy more. It takes a few months before you really see a good snow-ball of money coming in and going out consistently. I recommend having at least $500 for inventory to start with. The last bit of money (or the first bit I guess) I recommend getting a great Amazon training course, like our Amazon Boot Camp. Do you need to have any special skills to start this business? Well, you have to enjoy (or at least be able to tolerate) shopping! The whole Retail Arbitrage business model is based on finding products locally (or even online). You also need a smart phone and basic computer skills so that you can list your products for sale on Amazon. What is the earning potential of Amazon FBA business for a beginner? This question ties closely to how much a person has to invest in the beginning. The more inventory you have, the more you can make. We had a member post recently that they hit $1800 in sales their first 30 days. Some sellers are looking to add a few hundred dollars extra a month and others are looking to replace their full-time income. So that makes a difference as well. Many of our students have gone on to create 6-figure businesses just like we did. The potential is limitless as long as you are willing to put in the work! What should someone do if they want to try selling on Amazon? We offer a free 7-day Email Course that will help you determine if this is the right business choice for you. If you are 100% sure you want to start today, I recommend our Amazon Boot Camp course as it will walk you through the entire process of getting started on Amazon. We also have tons of great information about selling on Amazon on our blog, which is all free of course. That’s a lot of information about this great side hustle! I thank Jessica for giving such an in-depth interview about selling on Amazon. 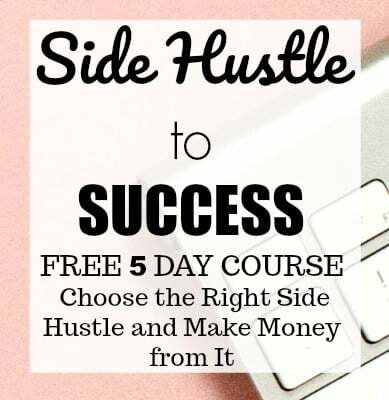 I am sure many of you are looking for side hustles and this could be a great choice if you are searching for something with good money-making potential and a lot of flexibility. 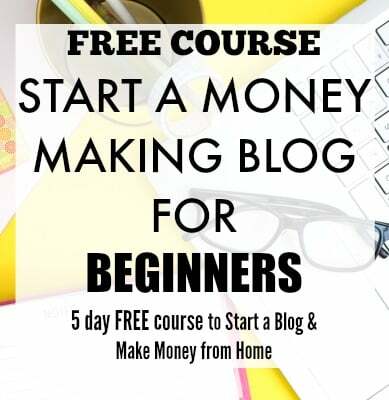 Sign up for their FREE 7-DAY email course and find out everything about this awesome side gig!